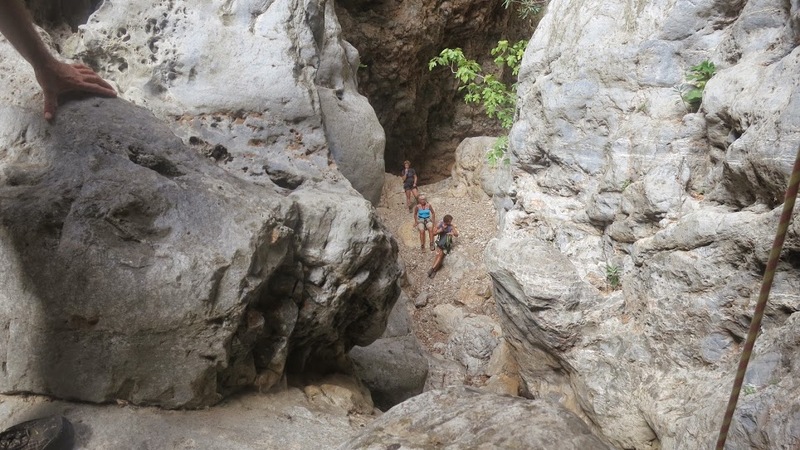 For adventurous nature lovers, we organize a unique canyoning tour through Kakia Lagada – the Evil Gorge. 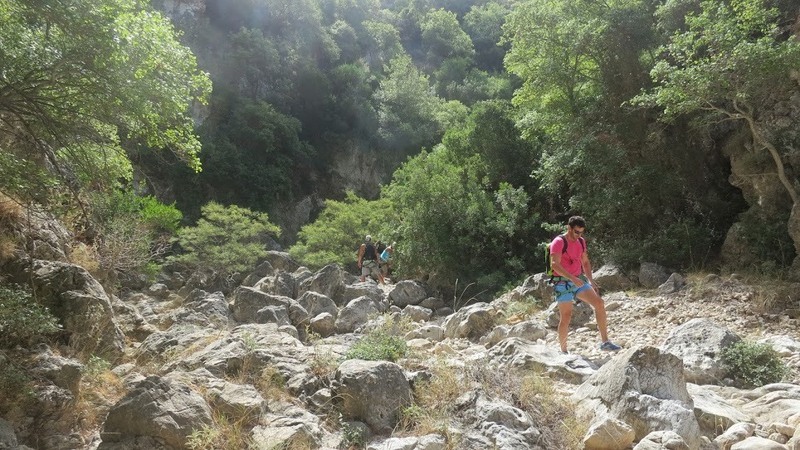 In springtime and after the first rainfall in autumn, small lakes form and, during the summer, the gorge is without water, but still challenging. 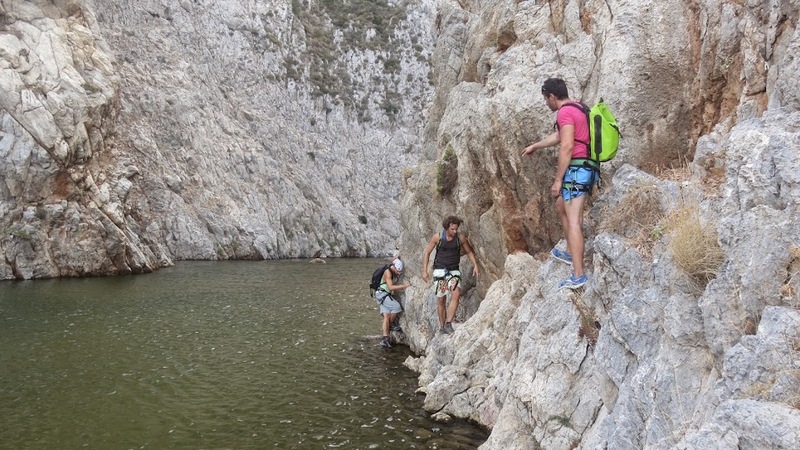 The canyoning tour makes your holiday on Kythira complete. 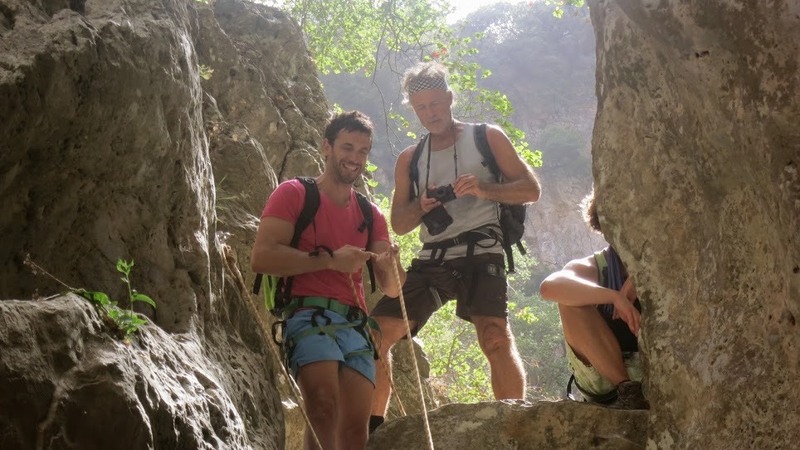 Experienced guide Nikos knows the stunning gorge by heart and will guide you through it in a small group from Paleochora. 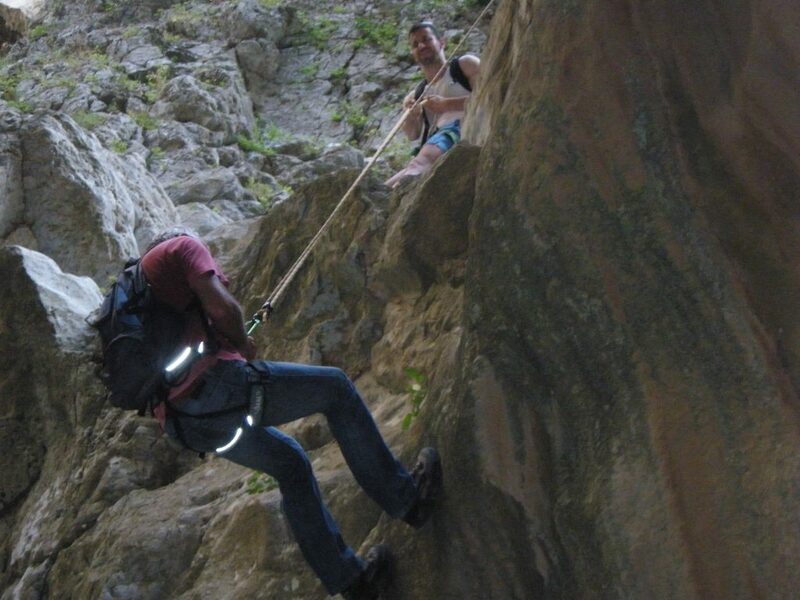 With a combination of walking to climbing and abseiling (maximum 10 meters) you follow the gorge which ends at the sea at Limni, on the east coast. 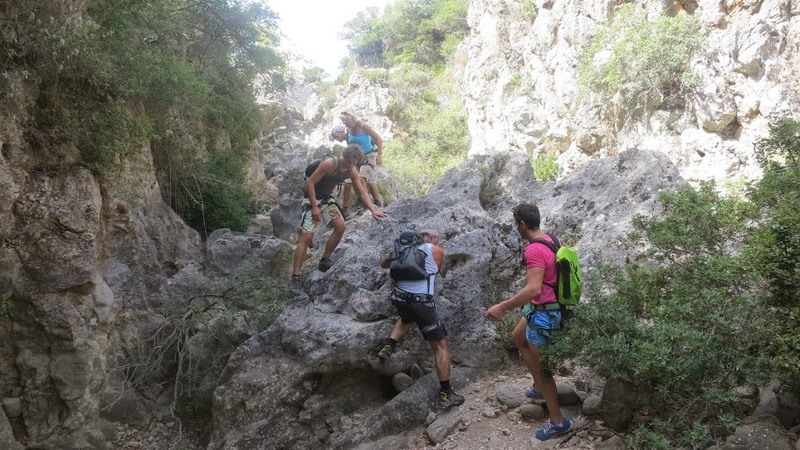 Before you start the descent into the gorge, Nikos gives you a short and clear briefing about the tour and the equipment and, once down in the gorge, he will provide further detailed instructions. 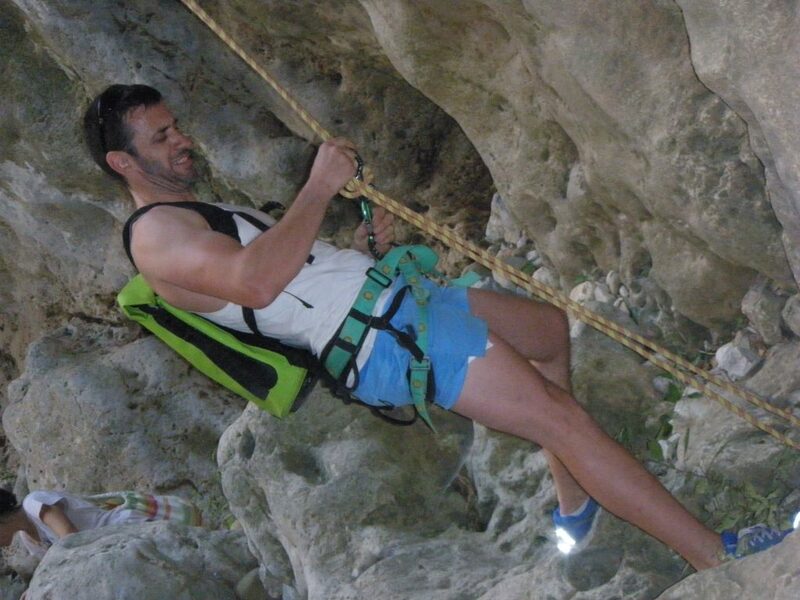 The tour represents a medium degree of difficulty and is a challenge for every sports loving and courageous nature lover, even without canyoning experience. 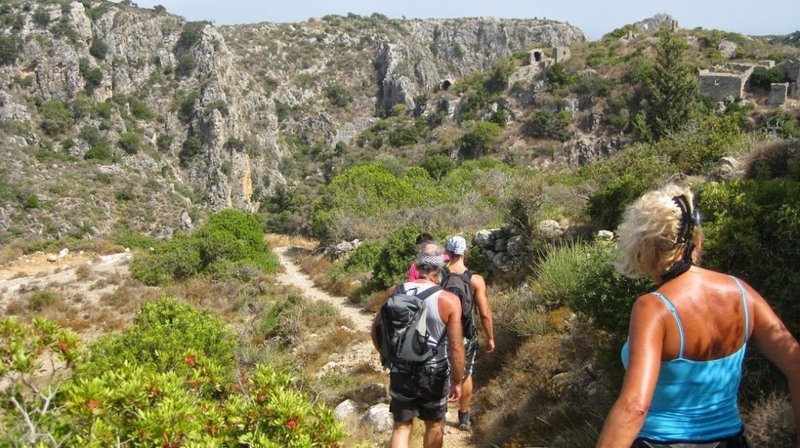 Weekly on Thursdays, departure at 3.30 pm from Potamos Square. 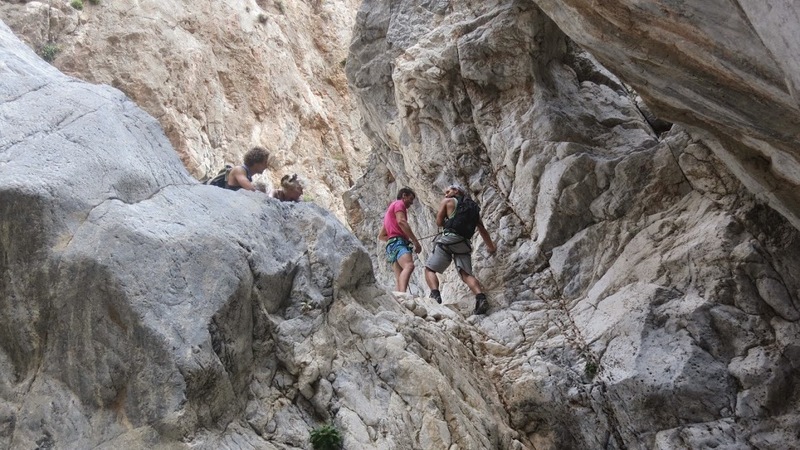 Price: €35 per person (including equipment and transportation from Potamos to Paleochora and from Limni to Potamos). 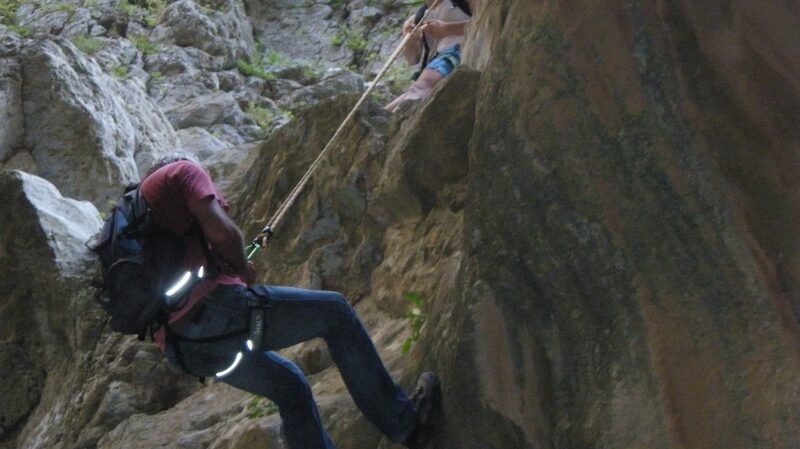 The groups are small (minimum 3 and maximum 6 participants) and advance reservation is required. 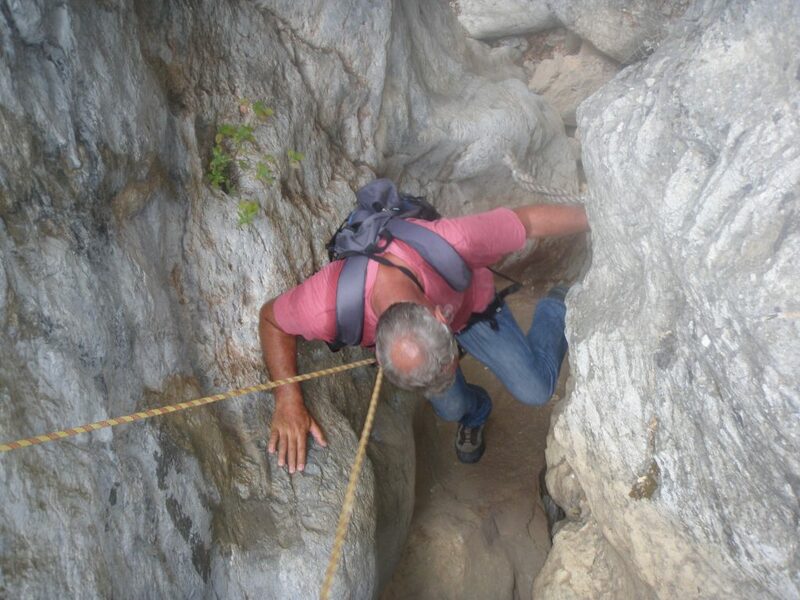 In order to participate, you don’t need to have any canyoning experience, although your physical condition needs to be good. 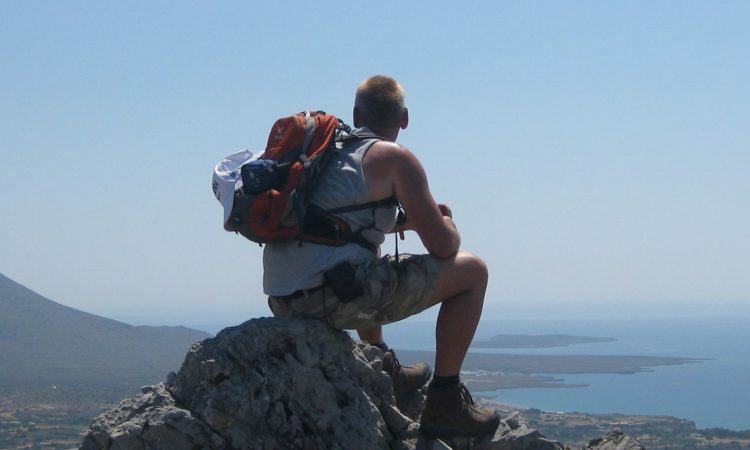 Wear decent sport or walking shoes. 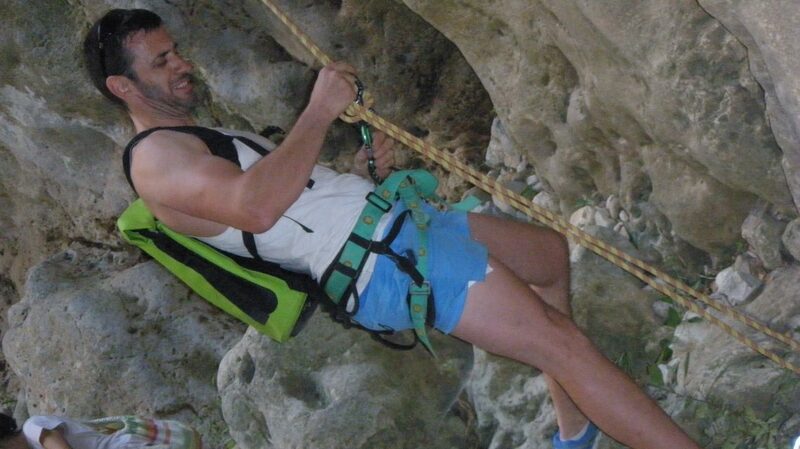 Take drinking water and a camera and, of course, a swimming suit for a refreshing swim in the sea after the tour. 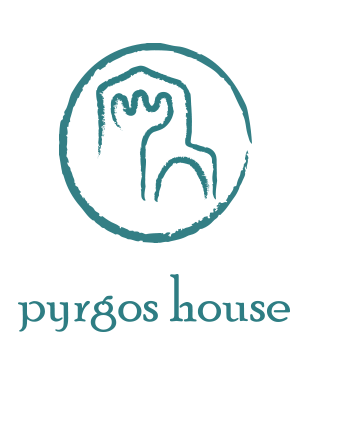 Pyrgos House cannot be held responsible for any incidents during the tour. Enquiries and bookings: For further information and for bookings, please fill in the contact form on this website or call (0030) 698986 3140. 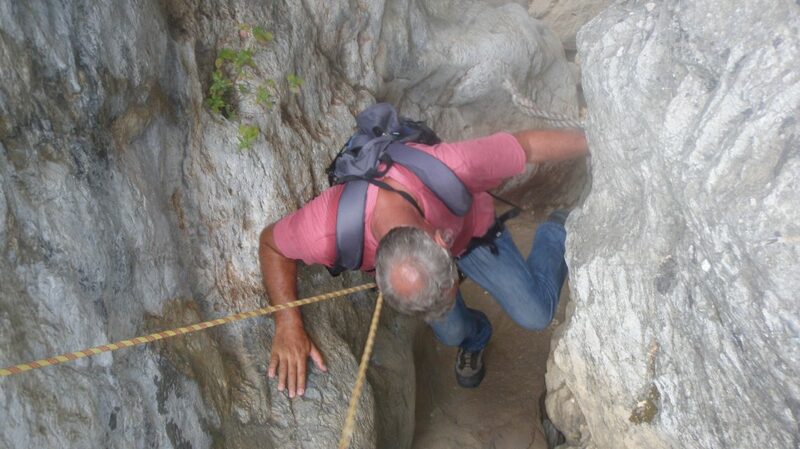 If you are on Kythira, just come along to the Pyrgos House Office in Potamos, next to the church.